Computer Virus: Like most people, you run a Windows-based operating system (or perhaps something else), you run anti-virus software. Perhaps you’re even diligent about keeping your virus definitions up-to-date. 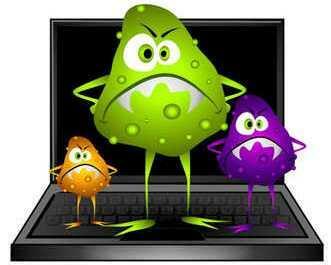 Are you completely protected against viruses? Of course not. Let’s examine what viruses and Trojans are, and how they find their way onto your computer. 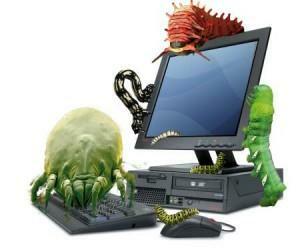 We all have heard the terms Virus, Worms, Trojans and spyware but only a few of us know the difference between them. We generally consider everything that is detected by an antivirus as virus but this is not the case. All these can be harmful to your computer hardware and software. To differentiate all these terms from each other. let’s start with the introduction to viruses. Virus: A virus is a self-replicating program that attaches itself to an executable file. When the file is executed the virus automatically gets executed and enters into the system memory .Once it enters into the system memory it either searches for other files that can be infected or stays in the background and infects the files that uses the virus infected program. Worms: Worms are very similar to viruses but differ in way that they do not bind themselves to executable files instead they uses the network to replicate themselves. If you find excessive use of your network bandwidth then you may be infected by a worm. So, a worm does not require a user to execute any file for its execution it can work without user intervention. Trojan horse: A Trojan horse is harmful program which may seem harmless to the user before its installation but instead it is programmed or reverse engineered to facilitate unauthorised remote access to the computer. Trojan’s do not replicate themselves. The name Trojan horse comes from that fateful episode in the novel The Iliad. The limitation of Trojans is that the user needs to be convinced to accept/run them, just as the Trojans had to first accept the Greek gift of the wooden horse, in order for them to have their way. So they are typically mislabeled, or disguised as something else, to fool the user into running them. Spyware: A spyware is a program that secretly monitors and collects pieces of information. It usually runs in stealth mode and cannot be detected easily. Key loggers is a great example of spyware software. It is not limited to just spying but can also send data to remote computers. Rootkit: A rootkit is a collection of tools (programs) that enable administrator-level access to a computer or computer network. Typically, a cracker installs a rootkit on a computer after first obtaining user-level access, either by exploiting a known vulnerability or by cracking a password. Once the rootkit is installed, it allows the attacker to mask intrusion and gain root or privileged access to the computer and, possibly, other machines on the network. A rootkit may consist of spyware and other programs that: monitor traffic and keystrokes; create a “backdoor” into the system for the hacker’s use; alter log files; attack other machines on the network; and alter existing system tools to escape detection. If a rootkit is detected, however, the only sure way to get rid of it is to completely erase the computer’s hard drive and reinstall the operating system. Botnets: Once users’ computers are infected with viruses, the computers are turned into “zombies”. These computers, serving as “Bots” controlled by hackers, are used to send a large number of forged data packets or junk data packets to the pre-defined target for launching a DOS (Denial-of-service ) attack. As a result, the attacked target breaks down. Grayware: The spyware and rogue software are software designed by certain immoral companies to collect users’ habits in browsing Web pages for working out their advertisement push policies. The grayware does not harm computers greatly. The privacy of victims, however, is compromised and collected by others. Once being installed, the gray-ware cannot be deleted or uninstalled normally. For example, advertisement software designed for the Internet Explorer can change and lock default homepages automatically, and load the toolbars of advertisement companies. Malware: Malware is mischief. Malware is not infectious, but can also lead to serious consequences. For example, when certain malware is run, hard disks are formatted automatically, which causes the great losses of users’ important data. When a computer is infected with viruses, normal programs cannot be run, and important data may be damaged or stolen. Thus, huge losses are caused. 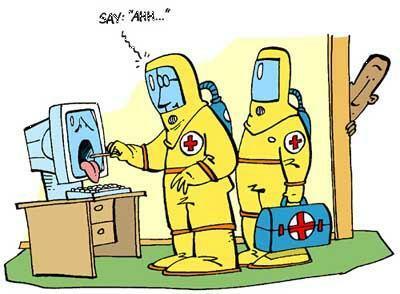 Computer viruses are destructive as well as infectious. The infectivity is more harmful. Once viruses are reproduced or virus variations are generated, the spread speed is rather fast. The viruses are hard to be defended. Viruses can spread through multiple means such as storage media and networks. Among them, the network becomes a major means of virus spread. Computer viruses are well-covered. For common users, computer viruses are difficult to sense. Certain viruses have “latent periods”. These viruses burst out sometime in the future. For example, in 1999, CIH viruses damaged the BIOS. The CIH viruses burst out on April 26 every year. If latent periods of viruses are long, viruses can exist in systems for a long time. Thus, the infectious scale of viruses is large. Basically, viruses are programs that the programmer designed to do something you generally would not want to have happen if you were aware of their function. These programs usually get onto your computer through some sort of trickery. They pretend to be something else, they’re attached to a program you wanted, or they arrive on media you inserted without knowing it was infected. They can also be placed by a remote attacker who has already compromised your security. How does anti-virus software work? Before program execution can take place, the anti-virus software will scan the program or media for “bad things,” which usually consist of viruses, Trojans, and even a few potential hacker tools. Keep in mind, though, that your anti-virus software vendor is the sole determiner of what to check for, unless you take the time to develop your own signature files. Signature files are the meat of most anti-virus programs. They usually consist of pieces of code or binary data that are (you hope) unique to a particular virus or Trojan. Therefore, if you get a virus that does not appear in the database, your anti-virus software cannot help you. So why is the process so slow? In order to produce a signature file, an antivirus vendor has to get a copy of the virus or Trojan, analyse it, produce a signature, update the signature file (and sometimes the anti-virus program too) and publish the update. Finally, the end user has to retrieve and apply the update. As you might imagine, there can be some significant delays in getting new virus information to end users, and until they get it they are vulnerable. You cannot blindly run any program or download any attachment simply because you run anti-virus software. Not so long ago, anti-virus software could usually be relied upon, because viruses propagated so slowly, relying on people to move them about via diskettes or shared programs. Now, since so many computers connect to the Internet, that connectivity has become a very attractive carrier for viruses. They spread via Web pages, e-mail and downloads. Chances are much greater now that you will see a new virus before your anti-virus software vendor does. And don’t forget that a custom virus or Trojan may be written specifically to target you at any time. Under those circumstances, your anti-virus software will never save you. 1. If the computer is on then restart. Keep tapping F8 and start the computer simultaneously and select “safe mode with networking” from the Advanced Boot Menu by using the arrow keys and press the “Enter” key on the keyboard. Note: The reason we go to safe mode is because, most viruses do not function in safe mode. 2. Delete Temp (temporary) files. For Windows XP – Click on “start” button from the desktop and select “Run”. In the run text box type “%temp%” and press “Enter”. For Windows Vista and Windows 7 – Click on “Windows logo” and on the search box just above the Windows logo, type “%temp%” and press “Enter”. Now the “Temp” folder will open. Select all the files and press Shift + Delete to delete the files. For Windows XP – Click on “start” button from the desktop and select “Run”. In the run text box type “prefetch” and press “Enter”. For Windows Vista and Windows 7 – Click on “Windows logo” and on the search box just above the Windows logo, type “prefetch” and press “Enter”. Now the “Prefetch” folder will open. Select all the files and press Shift + Delete to delete the files. For Windows XP – Click on “start” button from the desktop and select “Run”. In the run text box type “services.msc” and press “Enter”. For Windows Vista and Windows 7 – Click on “Windows logo” and on the search box just above the Windows logo, type “services.msc” and press “Enter”. 5. Download the free version of Malwarebytes and run a virus scan. Following the scan if there is any infection it will show and give you the option to delete . After you remove the virus, it may ask you to restart. 6. If Malwarebytes does not help, then try Hitman pro. Before downloading check whether the system is 32 bit or 64 bit as Hitman Pro has different version for 32 bit and 64 bit. 7. Try TDS Killer from Kaspersky. Download TDS Killer.exe file and run a scan for Rootkits. 8. Try Combofix. It is a freeware but very good software to remove virus. It is available for free download. While you run Combofix you may lose Internet connection temporarily. 9. You may also try SuperAntispyware. You may try this only when none of the other software given here helped. 10. If you are unable to run or access the computer even in safe mode then create a new user account and login to that. Now start running the software. If they do not detect anything, go to the user account which is affected and look for suspicious files. Confirm with the user, if they are aware of such file, if not, delete it. Then try going to the affected user account and run the anti virus software. 11. If after virus removal, you face issues with file association or running .exe files on Windows XP, then try the tweaks from Kellys Korner XP. If there is important data on the computer then you should take the hard disk to a local vendor to check if the data can be backed up. Then perform a clean installation of operating system. That is, you should format your hard drive and install your Windows OS again. If there is no important data, then you can go ahead and do a clean installation of Windows OS. Yeah I agree with you, keeping two partitions with two different OS is always good.